Every once in awhile, extremely weird circumstances find themselves in the hands of extremely weird people. And when those circumstances and people find themselves a film crew, a truly bizarre documentary is born. 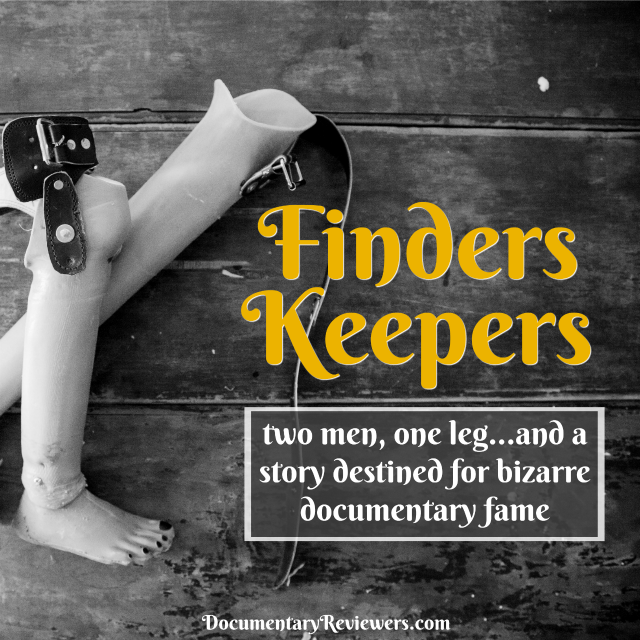 That is exactly what happened with Finders Keepers – the story of John Wood, his amputated leg, and Shannon Whisnant, a man determined to prove his rightful ownership over said leg. 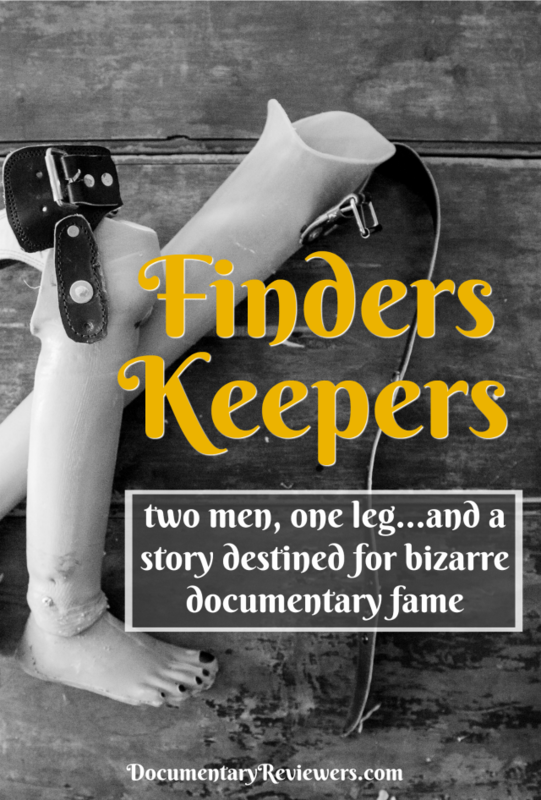 Not only does Finders Keepers make the cut for bizarre documentaries, but it also tells a comical and heart-warming tale that ultimately ends with some pretty profound lessons on greed, fate…and where not to store your amputated leg. After a tragic plane crash, John Wood loses his leg (as in, amputated). He does what anyone would do in this situation – he asks the hospital to give him his leg back and he mummifies it. This, it seems, is par for the course for John Wood. After a falling out with his family though, John moves out of state and leaves all of his belongings – including his leg – in a storage facility. After failing to make his monthly payments for the storage unit, the facility decides to auction all of his belongings. Whisnant, driven by fate, destiny, or maybe just the hope of a good deal, goes to the auction and purchases a smoker that will forever change his life. Because it had John Woods leg in it. Upon discovering the leg, Whisnant does the only normal thing in this documentary – he calls the police. The police come, confiscate the leg, and bring it to a funeral parlor while they work to figure out where this leg came from. Think the bizarre part of the story is over? Think again. This is where the story begins. Whisnant, who has known since birth that he was destined for stardom, capitalizes on the experience, dubbing himself the Foot Man. In the meantime, John Wood hearing of the story, immediately returns to town to reclaim his mummified part. Why, you ask? Well, because Whisnant decides he’s paid for the leg fair and square. It belongs to him. Cook claims that the leg has always been his and, thus, should be returned to him regardless of the accidental purchase. From here, the two begin a battle that will play out in the media and courtroom and change both of their lives forever. Aside from a story that is crazy all on its own, John Cook and Shannon Whisnant are characters to their own right. Through family interviews and recollections, you learn more and more about each man and their families, making this bizarre documentary not only weird, but somehow also heartfelt and comical. As the story unfolds, it’s hard to not feel connected to the characters. It’s worth watching to the end to find out how each man fared, but also because this bizarre documentary somehow finds a way to leave you with some really important lessons about greed, carelessness, and fate.